This worksheet is made as a test. It contains five different exercises. Key is given. Hope you find it useful! The above downloadable worksheet is best suited for business/professional students, high school students and adults at Intermediate (B1), Upper-intermediate (B2) and Advanced (C1) level. 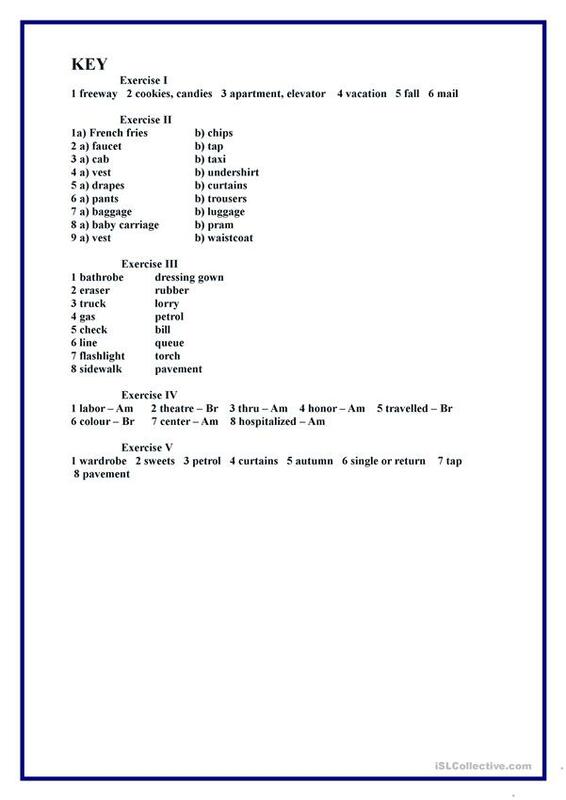 It is great for revising Formal and informal English (politeness or colloquial language) in English, and was designed for strengthening your pupils' Spelling, Reading and Writing skills. 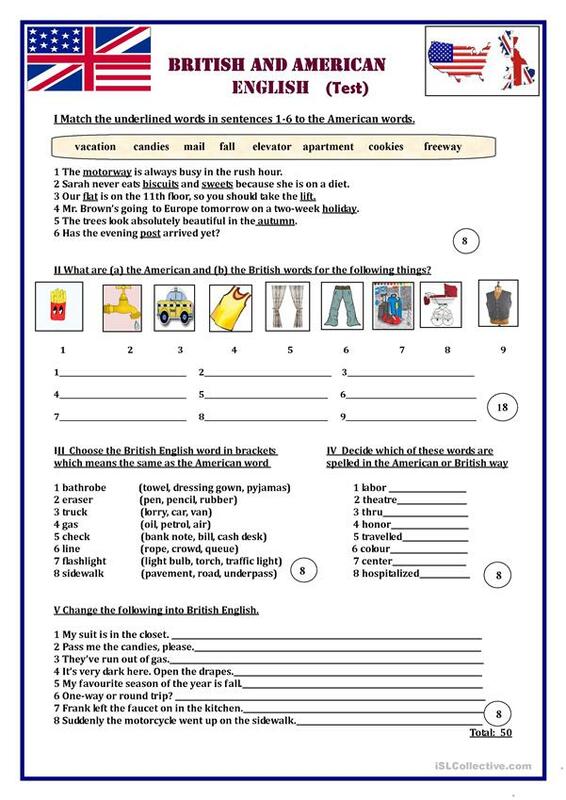 It focuses on the vocabulary topic of American/British English. The exercises come with a key.